Mywellwisher.com works on the principle of "Law of Attraction"
The Law of Attraction simply says that you attract into your life whatever you think about. Power law of attraction is such a natural approach that it can be applied for any thing, any time, in any circumstances, to manifest anything that you want, in any part of the universe, by anyone. In simpler words, If you want it, you can get it. There's no stopping you. The thing we do is, increase the chances of your wishes to come true by reading your wishes and hopefully making them get more closer for you to achieve. There is no magic, you'll get what you really want. Time is not a factor. 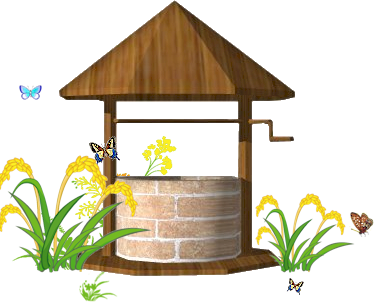 This online wishing well helps you to make wishes online, make a wish for yourself or your family and friends. Make wishes on this site for peace, love and friendship and also not forgetting the regular material things. Your wishes will definitely come true and we hope things change for better for everyone. My well wisher would like to thank all who have contributed to this website and wish them good luck for their future and lots of love and success. 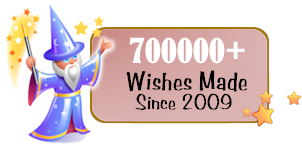 My well wisher, the online wishing well is also thankful to each and every one of the individuals who have placed their wishes on this website. God will always shower you with luck and happiness and you will keep his blessing on you.